Amidst sharp opposition in Indian social media discussions over the rumors of internet.org being a front for acquiring economically poor users in India Mark Zuckerberg in a facebook post. "Over the past week in India, there has been a lot written about Internet.org and net neutrality. I'd like to share my position on these topics here for everyone to see. First, I'll share a quick story. Last year I visited Chandauli, a small village in northern India that had just been connected to the internet. In a classroom in the village, I had the chance to talk to a group of students who were learning to use the internet. It was an incredible experience to think that right there in that room might be a student with a big idea that could change the world — and now they could actually make that happen through the internet. The internet is one of the most powerful tools for economic and social progress. It gives people access to jobs, knowledge and opportunities. It gives voice to the voiceless in our society, and it connects people with vital resources for health and education. I believe everyone in the world deserves access to these opportunities. In many countries, however, there are big social and economic obstacles to connectivity. The internet isn't affordable to everyone, and in many places awareness of its value remains low. Women and the poor are most likely to be excluded and further disempowered by lack of connectivity. This is why we created Internet.org, our effort to connect the whole world. By partnering with mobile operators and governments in different countries, Internet.org offers free access in local languages to basic internet services in areas like jobs, health, education and messaging. Internet.org lowers the cost of accessing the internet and raises the awareness of the internet's value. It helps include everyone in the world's opportunities. We've made some great progress, and already more than 800 million people in 9 countries can now access free basic services through Internet.org. In India, we've already rolled out free basic services on the Reliance network to millions of people in Tamil Nadu, Maharashtra, Andhra Pradesh, Gujarat, Kerala and Telangana. And we just launched in Indonesia on the Indosat network today. We're proud of this progress. But some people have criticized the concept of zero-rating that allows Internet.org to deliver free basic internet services, saying that offering some services for free goes against the spirit of net neutrality. I strongly disagree with this. We fully support net neutrality. We want to keep the internet open. Net neutrality ensures network operators don't discriminate by limiting access to services you want to use. It's an essential part of the open internet, and we are fully committed to it. But net neutrality is not in conflict with working to get more people connected. These two principles — universal connectivity and net neutrality — can and must coexist. To give more people access to the internet, it is useful to offer some service for free. If someone can't afford to pay for connectivity, it is always better to have some access than none at all. Internet.org doesn't block or throttle any other services or create fast lanes -- and it never will. We're open for all mobile operators and we're not stopping anyone from joining. We want as many internet providers to join so as many people as possible can be connected. Arguments about net neutrality shouldn't be used to prevent the most disadvantaged people in society from gaining access or to deprive people of opportunity. Eliminating programs that bring more people online won't increase social inclusion or close the digital divide. It will only deprive all of us of the ideas and contributions of the two thirds of the world who are not connected. Every person in the world deserves access to the opportunities the internet provides. And we can all benefit from the perspectives, creativity and talent of the people not yet connected. We have a historic opportunity to connect billions of more people worldwide for the first time. We should work together to make that happen now." Sagar Kamat: Mark The aspect of Internet.org that is in conflict with Net Neutrality is that FB chooses which services are offered for free to the users. That's an attractive way of getting new users hooked onto popular services. Why not just sponsor a certain data cap for users instead and let them decide which services they want to use? That will be in line with your vision of internet for all as well as Neutral. Mark Zuckerburg: We actually don't choose the services by ourselves. We work with local governments and the mobile operators to identify local services in each country. Ritesh Pandya: We really appreciate your initiative on making the internet accessible to most remote part of the world, but the only question is why access only to selective websites and not all on internet.org?? 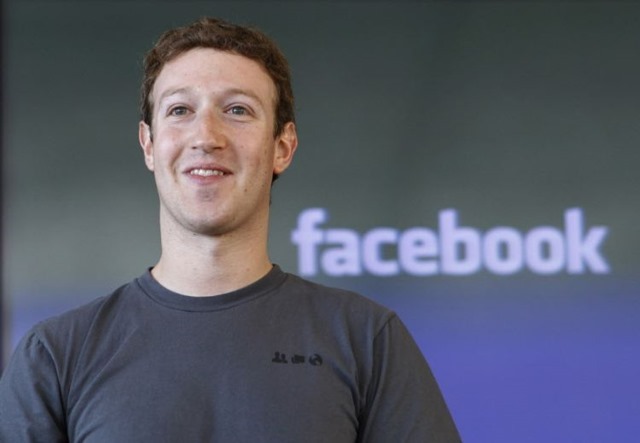 Mark Zuckerburg: It's too expensive to make the whole internet free. Mobile operators spend tens of billions of dollars to support all of internet traffic. If it was all free they'd go out of business. But by offering some basic services, it's still affordable for them and it's valuable and free for everyone to use.